Richardson, Texas (September 21, 2009) - The Hive Group today announces the general release of HiveOnDemand (www.hiveondemand.com), the world’s first on-demand service dedicated exclusively to treemapping. The launch of this new offering is a notable milestone for business visualization. For years, The Hive Group’s flagship software, Honeycomb, has enabled large enterprises to deploy systemic treemapping solutions to employees, customers, and suppliers. Deeply embedded in business processes, these deployments deliver visual insight to information stored in a variety of complex enterprise data sources. Now, The Hive Group extends this rich history with HiveOnDemand, and puts treemaps within reach of the rest of the world. HiveOnDemand is a first-of-its-kind web-based treemapping service that brings the power of treemaps to those who need a simple, yet effective solution for visualizing their data. 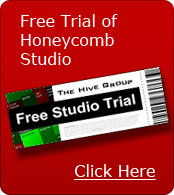 With this offering, The Hive Group has made it possible for users to instantly create and manage dynamic treemaps in a convenient, interactive environment--without the need to install applications, maintain servers, or configure software. Instant productivity is the central theme of HiveOnDemand. Within seconds, a user can connect to data; and a treemap is instantly generated, automatically configured, and ready to use. The Hive Group has designed the service to be easy to use for anyone—specifically focusing on the most likely and simplest of data sources including live Google Docs, flat files like CSV files, or a simple “copy and paste” from standard desktop software like Excel. Interactive controls allow users to configure layout and presentation options, specify which data attributes to use, choose color ranges, and more—all from a convenient and simple interface. The Hive Group develops enterprise treemap software used by major corporations and government agencies. These organizations embed the software into their business processes to visualize performance metrics, identify issues needing attention, perform follow-on analysis, collaborate with other users, and take action. The company’s software helps users navigate their daily responsibilities—focusing their attention and improving decision-making—so they can better serve their customers and improve performance. The company also offers HiveOnDemand, the world’s first on-demand service dedicated exclusively to treemapping. The Hive Group is privately held with headquarters in Richardson, Texas. For more information, contact 972-808-0400, info@hivegroup.com, www.hivegroup.com, and www.hiveondemand.com. Honeycomb is a registered trademark of The Hive Group, Inc. HiveOnDemand and “Business at a glance” are trademarks of The Hive Group, Inc. All marks, products, and/or service names and symbols mentioned herein are trademarks and are the property of their respective owners.